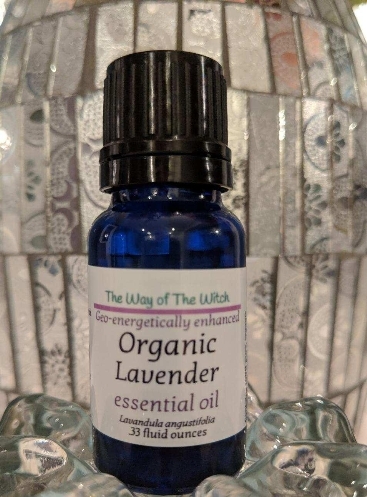 At The Way of The Witch we are commited to offering only the highest quality, organic essential oils available. Because of this, our essential oil line is limited exclusivly to oils that we can ensure are sourced properly and tested for purity and potency. 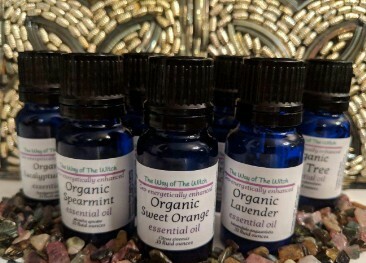 Each essential oil bottle also contains a small tourmaline crystal that has been added at the appropriate moon cycle to enhance the oils natural energetic theraputic properties. 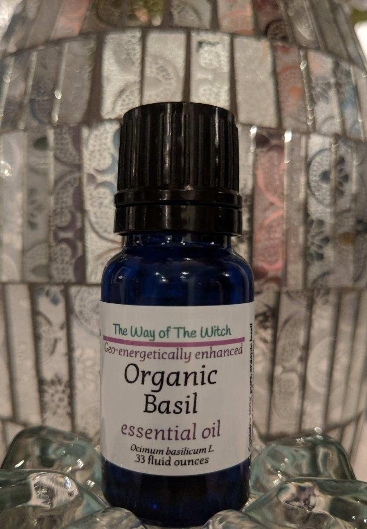 Energetic Uses: Used to promote love, overcome obstacles, and attract wealth, basil can also assist in providing energetic protection and restoring the vitality of the aura and subtle body system. the Hindus use basil to protect the dead from evil while transitioning between lives. Energetic Uses: Used to cleanse and balance the energy field as well as homes, offices, businesses and sacred spaces. History and Folklore: Eucalyptus has long been used as traditional medicine by the aboriginal peoples of Australia. The leaves are a favorite food of Koala's, and the species has been used in the production of pulp, paper, and other products. 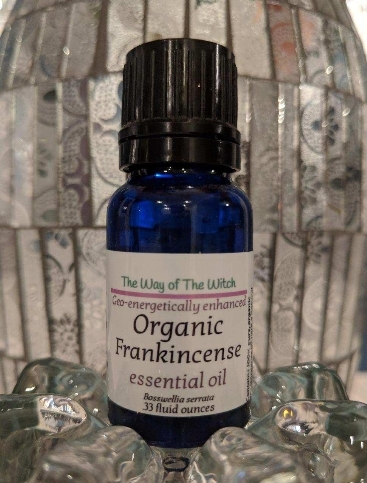 Energetic Uses: An indispensable addition to your herbal supplies, Frankincense is used to consecrate areas and objects, connect with Divine, promote success, protect people, places, and objects, and to sanctify. It uplifts the energy and opens the user to higher levels of awareness and being. History and Folklore: Commonly used as an incense, Frankincense has been traded for over 5000 years. It was widely used in ancient Egypt, and was one of the ingredients used in the holy oil described in the Talmud. It was brought back to Europe by Frankish Crusaders, hence the name (Frank-incense). History and folklore: Originating from the Latin word Lavare, meaning to wash, Lavender has been used since ancient times. As one of many herbs added to love sachets during the renaissance, lavender is believed to bring stability and promote fidelity in romantic relationships. Energetic Uses: Used to promote clear thinking and support memory, lemongrass is excellent as a study aid. It also encourages creativity and can help in the discovery and discernment of truths. 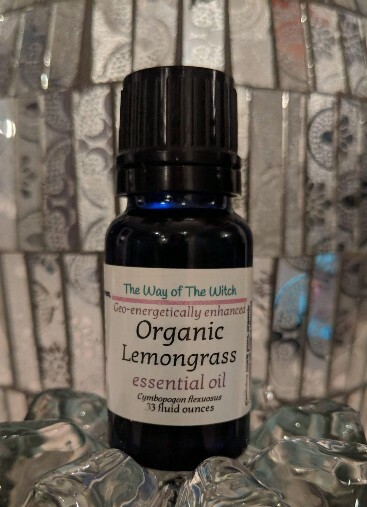 History and Folklore: Lemongrass has been used as medicine in India for more than 2000 years, and Brazillian folklore sites the use of the ancient herb to calm the mind and treat cramps and fatigue. 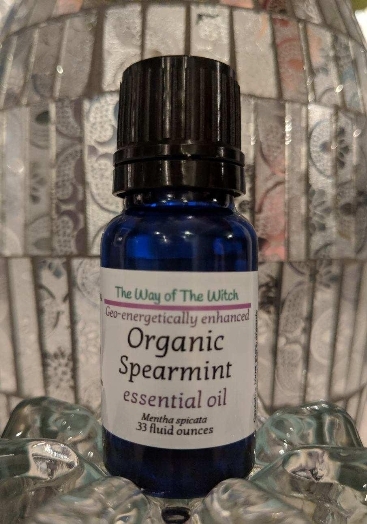 Energetic Uses: Used to uplift the energy of both living beings and spaces, spearmint attracts clean, positive vibrations. It brings peace and happiness, and promotes mental alertness. History and Folklore: A common flavoring agent in foods and scent in toiletries, spearmint's use dates as far back as 400 BC. It is believed to convey wisdom, and was known from ancient times as an herb of hospitality. 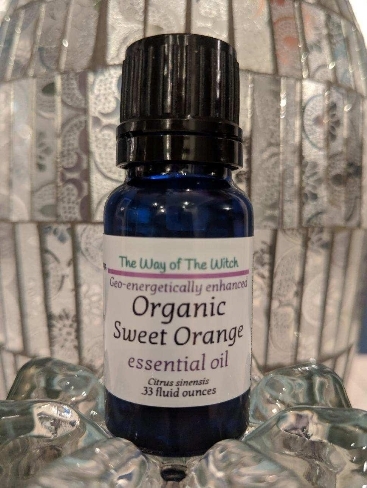 Energetic Uses: Used to promote confidence, happiness, and wellbeing, Sweet Orange summons strong, positive energy and evokes the power and life-promoting energy of the Sun. History and Folklore: Oranges are long believed to be a symbol of innocence and fertility. In Greek mythology, they are refered to as 'golden apples', and the scent of the sweet orange is associated with the Egyptian Goddess, Isis. The first mention of oranges came from Arab writtings, and they are also mentioned in Chinese literature as early as 314 BC. 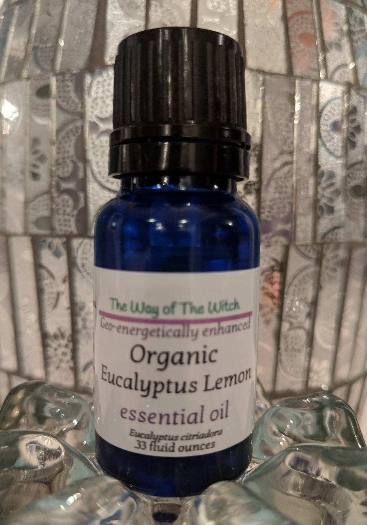 Energetic Uses: Used to relieve anxiety and sorrow and eliminate weakness, tea tree helps rid the physical and energetic body of fear and panic and contributes to rational decision making. It uplifts the mood and increases self-confidence. 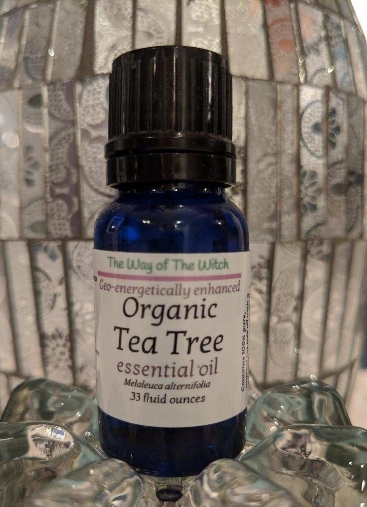 Tea tree restores and revitalizes the chakras and energy field to their natural vibratory frequencies, and protects against energetic attacks and aggression. History and Folklore: Tea tree leaf has a long history of medicinal use by the indigenous peoples of Australia, where their legends describe a 'magic lake' with healing powers surrounded by tea trees. Refered to as 'magic healing oil' by the Austrailian army during world war two, all supplies were commendeered to equip each soldier with his own bottle. Due to a number of recent studies and clinical trials confirming its antiseptic, anti-bacterial, anti-fungal, anti-viral, anti-inflammatory, and anti-protozoal properties, it has become widely used in body and skincare products throughout the world.